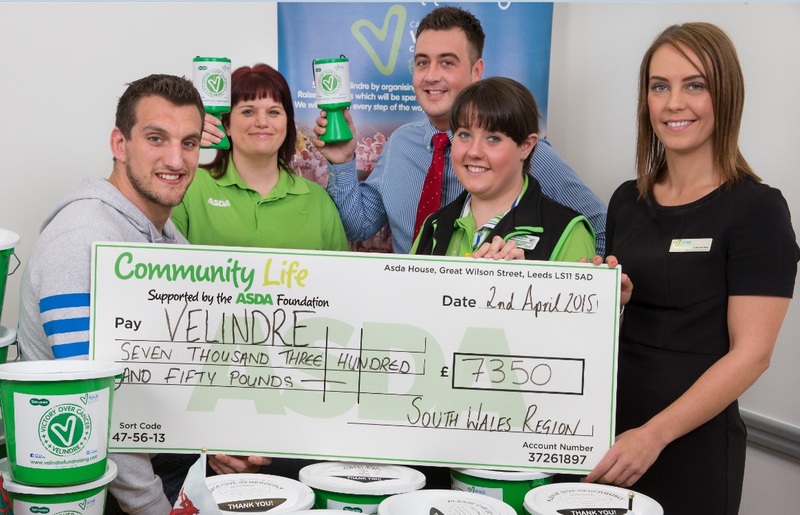 Asda stores in South Wales have raised an incredible £7,350 for Velindre Cancer Centre. 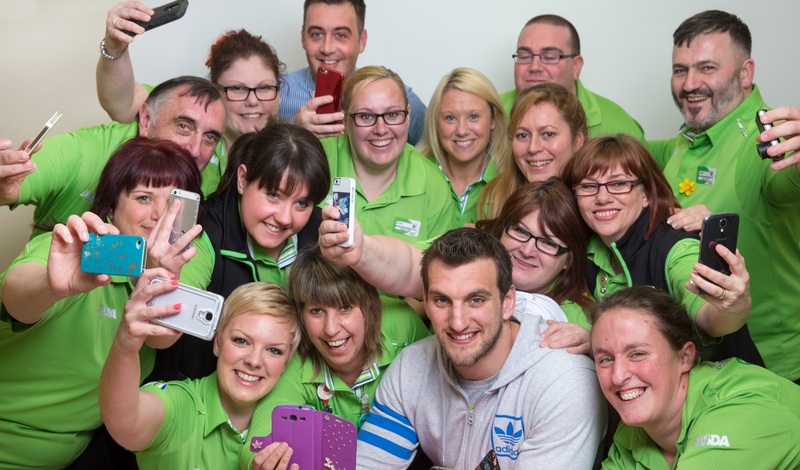 Welsh International rugby union player, Sam Warburton, made an appearance at Asda’s Cardiff Coryton store to congratulate Asda colleagues on their fantastic fundraising achievements, and present the cheque to Velindre representative, Kylie McKee. Colleagues at Asda’s 20 stores in South Wales raised money through a range of fundraising activities over St. David’s Day, including fancy dress, community raffles and sponsored events. Asda’s Blackwood store raised the most money out of Asda’s Welsh stores, raising £1,527. Lucie Brown, Asda’s community life champion for Blackwood, organised a ‘Proud to be Welsh’ weekend of celebrations, with shoppers and members of the community enjoying facepainting, raffles, competitions and Welsh Cake sales. Asda colleagues wore Welsh-themed fancy dress and local school Libanus Primary serenaded customers. Asda’s Tonypandy store won Asda’s St David’s Day competition – as well as raising £1,000 for Velindre the store saw an impressive boost of Welsh products, with a 17% uplift in sales of local Welsh produce.